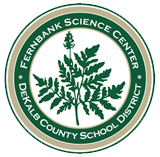 Welcome to Fernbank Science Center...where science truly becomes an adventure! Visit today and experience the Jim Cherry Memorial Planetarium and the Ralph Buice Jr. Observatory. Hours subject to change. Please confirm hours on our calendar prior to your visit. Get ready for takeoff at the 2019 Lockheed Martin Aviation Camp! A week-long STEM based camp that provides hands-on aviation experience for rising 4th through 6th grade students. The camp is packed with activities that help future aviator’s understand science, mathematics, engineering, and technology. Experience the wonders of the universe in 4K! The real Apollo 6 Command Module, on loan from the Smithsonian National Air and Space Museum, is on display in the FSC exhibit hall. See poison dart frogs, snakes, turtles, spiders, and more. Nikon’s Small World is regarded as the leading forum for showcasing the beauty and complexity of life as seen through the light microscope. Each Science Night Out is an evening packed with hands-on STEM activities for 3rd-6th graders. Come join us for views that are out of this world! Free public observations Thursday and Friday nights!